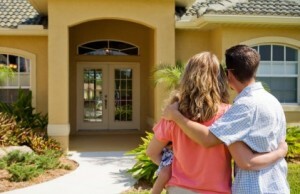 At Jenman Lawyers if you are purchasing your house we will beat any quote. We will peruse the contract in order to see if it is appropriate and explain the contract to you. Advise you of any necessary amendments/ changes to the contract and negotiate the same with the vendor’s solicitor. We will check your finance approval. We will obtain building and inspection reports if you so request. Investigate title and advise you in relation to costs and Stamp Duty. Attend to Exchange of Contracts and payment of deposit. We will carry out all necessary investigations to ensure that you receive Good Title. We will draft and engross the Transfer. Lodge and attend to Registration of the Transfer and delivery of Title Deeds to You. If you are obtaining a mortgage we will liase with the Solicitor for the Mortgagee. Explain the mortgage documents to you. Attend to you on the execution of the mortgage documents. Supply all necessary information, searches and documents as requested by the Mortgagee. Arrange settlement with the Mortgagee including payment directions and delivery of Documents to Mortgagee on settlement. If you are selling your property again we will beat any quote. We will draw and prepare a Contract for the sale of the property, obtaining for attachment to the Contract as required, Computer Folio Search of Title Deed, copy of Deposited Plan, copy of all documents evidencing any easements, covenants etc affecting the property, certificates from the Local Council, Water Board and other authorities in regard to the property, copy of current Survey and any other applicable data. We will furnish your appointed Estate Agent with 2 copies of such Contract with its attachments so that such Agent as required by law will be able to show any intending Purchasers through the property. 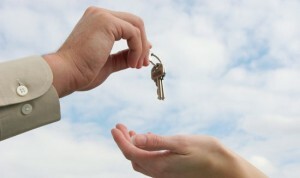 We will answer any enquiries directed to us by any Solicitors representing would-be Purchasers of the property. If the property is being auctioned and if you wish, Patricia Jenman will personally accompany you to the auction so that she may assist you during the course thereof. When a buyer is found for the property (whether by auction or private sale) we will attend to exchange of contracts and carry out the necessary work of answering requisitions on title and dealing with the Purchaser’s Solicitors. We will arrange for and attend to settle the matter and account to you for the proceeds of the sale. Throughout the procedure, Mrs. Jenman will maintain contact with you by telephone and letter, in order to keep you informed of the progreess and to obtain your instructions on developments as needed, and will be available for you to contact personally in order to help you over any aspect of the sale of the property.